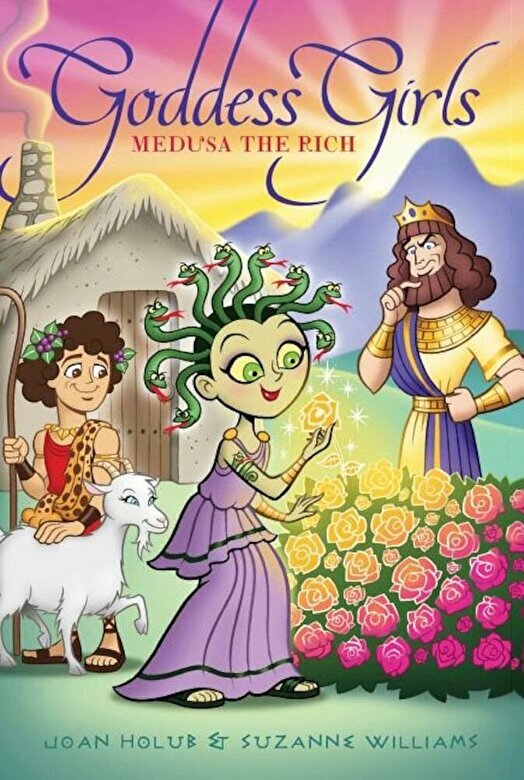 Prezentare Medusa discovers that having the golden ``King Midas`` touch has its ups and downs in the sixteenth Goddess Girls adventure. When Medusa suddenly becomes able to turn objects into gold just by touching them, she is thrilled. Gold, gold, everywhere But it's not just objects that become golden--it's also food, and, even people Her new ability turns out to be more dangerous than delightful, but can she do anything to reverse it?